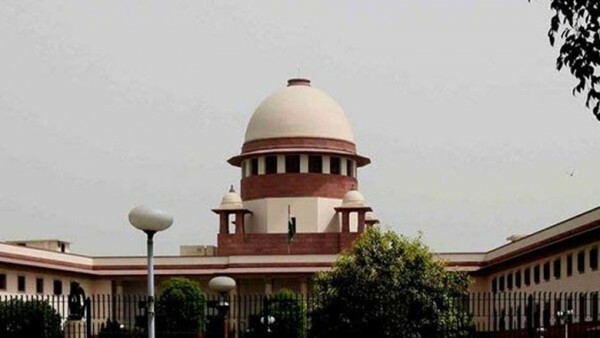 The Supreme Court on Tuesday refused to relax the July 31 deadline for publishing Assam’s final National Register of Citizens (NRC) as it expressed its disapproval of the Centre’s plea for putting the updation work on hold till after the Lok Sabha election schedule is announced. “The Ministry of Home Affairs is bent upon that NRC work is not carried out. The entire effort of the Ministry is to destroy this process. If you want NRC work to go on, there are 1,001 ways of doing it. The government is not co-operating,” Chief Justice Ranjan Gogoi said. His remarks came after Attorney General K.K. Venugopal apprised the apex court of the Centre’s stand that work on NRC updation should be put on hold after the Lok Sabha elections are announced. Brushing aside the Centre’s request, the bench of Chief Justice Gogoi and Justice Rohinton Nariman asked the poll panel to examine if it could hold elections in the state by sparing 3,457 officers who would continue with the NRC work. “We also request the Election Commission of India to examine the case of exemption of officers, in the rank of District Magistrates, Additional District Magistrates, etc…, from transfers which are likely to be made in view of the elections,” the court said in its order. Declining to pass any order, at this stage, on the request made by the Centre, the Chief Justice said, “we direct that adequate number of state government officials (number indicated by the state Coordinator as 3,457) which would consist of officers in different ranks as stated in the report, be kept free for NRC work”. The availability of the said officers for NRC work, the court said “would still leave out over 2,000 persons currently engaged in NRC work for being engaged in the election work at the relevant point of time”. Attorney General Venugopal told the court that in 2014 polls, 2,500 companies of the Central Armed Police Force (CAPF) were deployed and in 2019, this is likely to go up to 2,700 and would require withdrawing some of those currently posted in Assam. Besides deployment for election duties, the central police forces are also required for guarding the borders, he added. Noting a statement by the Joint Secretary, Ministry of Home Affairs that there are 3,000 CAPF companies, Chief Justice Gogoi said that even if 2,700 of them are deployed for election duty, still there are enough to take care of other requirements. Meanwhile, NRC state Co-ordinator Prateek Hajela urged the court to reschedule, by two weeks, the updation work of NRC which would involve hearing of claims and objections. He said that with elections on, the process of holding hearings on claims and objections is also likely to generate passions. The top court in the last hearing of the matter on January 24 had directed convening of a meeting of the Assam Chief Secretary, the Election Commission and the Co-ordinator to find a way to avoid any clash of work involving preparation of final NRC and holding of the Lok Sabha elections as it extended the publication of final NRC till July 31. Making it clear that the work on the updation of NRC and the holding of Lok Sabha elections had to go together without any of the two coming each other’s way, the court had then asked the three to “devise a way to deal with the situation”.